A mysterious prophecy. A pregnant girl. An impossible choice. In 1974, seventeen-year-old Sandy Lincoln leaves her small hometown of Rutland, Georgia, to hide her pregnancy. Abortion was legalised the year before and Sandy feels immense pressure from her boyfriend and family to make the whole situation go away. On the road to her aunt's house in Atlanta, Sandy encounters a strange woman who prophesies that she is carrying twin boys. The woman warns that should the sons ever meet, one of them will die. Sandy is shocked. How does the woman know she's pregnant? And could it be possible she's carrying twins? Should she take her advice seriously or run the other direction? Before she can decide, the woman is gone... leaving Sandy alone to decide her fate. The choice Sandy makes forever alters her destiny and that of those around her - not just in the present but thirty years later when the effects of the prophecy take a startling twist. This riveting tale is part legal drama, part supernatural thriller, part Southern fiction. Even more, it is the hope-filled story of how a mother's love knows no bounds. 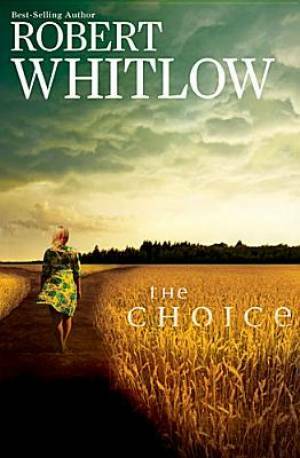 The Choice by Robert Whitlow was published by Thomas Nelson in August 2012 and is our 13782nd best seller. The ISBN for The Choice is 9781401685614. Be the first to review The Choice ! Got a question? No problem! Just click here to ask us about The Choice .